Su fursona Travis, el zorrillo rojo de 13 años de edad. 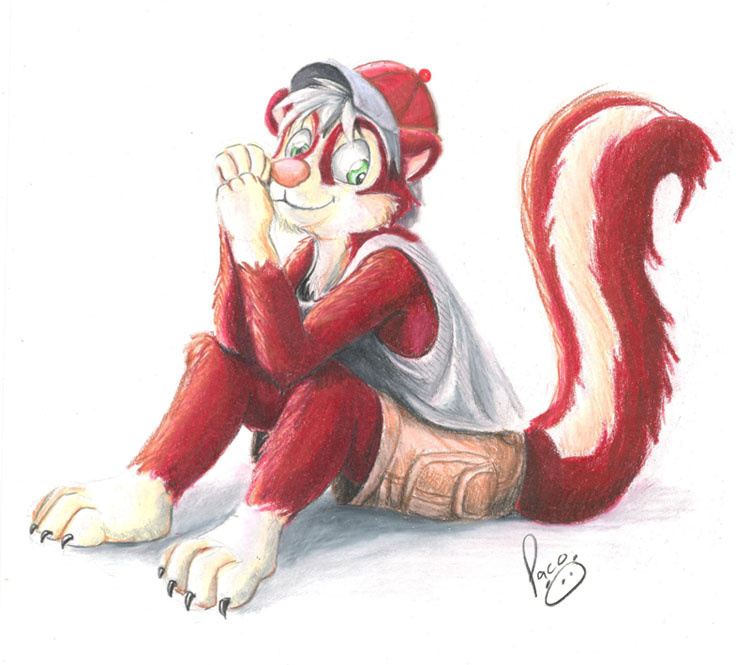 His fursona Travis, the red skunk, he's 13 years old. You did great on him ty very much. is important for me to know that you like it n__n awrrr thank you!! after the other maybe have another if yout not too busy? you caught that cute look,very nicely. yes, that's Ok, I'm naturally bussy right now and also when I did this one and the others, but I have to XP that's why I don't have slots and always have the commissions opened. I delay aprox a week as you saw, but I always finished the work in the best quality that I can.